It is now widely recognised that corruption negatively affects the enjoyment of civil and political rights, as well as economic, social and cultural rights. Corruption not only has a negative impact on the ability of States to implement their treaty-based human rights obligations, but it also directly affects the population of such countries. This concern was raised several times by the various UN Treaty Bodies in charge of monitoring the main human rights treaties. Moreover, in the context of Sustainable Development Goal 16 (“Promote peaceful and inclusive societies for sustainable development, provide access to justice for all and build effective, accountable and inclusive institutions at all levels”), the 2030 Agenda for sustainable development refers to concrete actions to fight against corruption, namely to “significantly reduce illicit financial and arms flows, strengthen the recovery and return of stolen assets and combat all forms of organised crime to corruption”. However, within the UN Human Rights System and in particular the UN Treaty Bodies, the issue of corruption is rarely addressed in a comprehensive and systematic manner as recently demonstrated by research conducted by the Centre for Civil and Political Rights. In this research, all Concluding Observations (COBs) adopted by the UN Treaty Bodies between 2007 and 2017 were reviewed and all the COBs related to corruption were analysed, which made evident that the UN Treaty Bodies had not considered the issue of corruption in a systematic manner. The Committee on Economic, Social and Cultural Rights (CESCR) is evidently the Committee that addresses corruption the most, with 63 out of 139 state report reviews (45.3%) broaching the subject. The Treaty Bodies trailing behind the ESCR Committee include the Committee on Migrant Workers (CMW) with 31% of reviews addressing corruption (18/58 State reports), followed by the Committee on Rights of the Child (CRC) with 30,8% (85/214 State reports), the Human Rights Committee (HR Committee) with 22,2% (39/182 State reports) and the Committee against Torture (CAT) at 17,8% (30/169 State reports). Corruption was addressed much less frequently by the other Treaty Bodies, namely the CEDAW, CPRD, CERD and CED, with less than 5% of their COBs broaching the subject. When the issue of corruption was addressed, an in depth analysis of the concerned COBs showed that UN Treaty Bodies focused mainly on specific issues (and related provisions of relevant treaties) and tended to ignore others. Regarding economic, social and cultural rights, the ESCR Committee, more often than not, recommended measures of a general nature related to article 2 of the ICESCR (52 countries out of 63), such as increasing the transparency in the conduct of public affairs, developing anti-corruption legal frameworks and supporting anti-corruption units. The protection of anti-corruption activists was also regularly mentioned. Other recommendations related to corruption in the context of access to healthcare, the payment of non-official fees for health care services (article 12 ICESCR), as well as access to food, housing or land allocation (article 11 ICESCR). The CRC also addressed corruption in relation to economic and social rights, in particular when it comes to the allocation of resources to children/children-related departments (healthcare, education, and social services). Turning to civil and political rights, the practice of the HR Committee reveals that the overwhelming majority of the COBs on corruption were linked to article 14 ICCPR, addressing corruption in the judicial system and the right to a fair trial (32 countries out of 39). Most of these COBs pertained to corruption in the judiciary, prisons or detention facilities. The same can be said regarding the CAT, which also addressed the issue of corruption through the lens of judicial independence. In Madagascar, the HR Committee noted that corruption may undermine the process of national reconciliation. In Bosnia and Herzegovina, the Committee stated that corruption among public officials resulted in a violation of effective participation in public life. In both Uzbekistan and Kazakhstan, the Committee expressed concern about corruption in relation to human trafficking. That corruption is increasingly, more prominently and more specifically addressed by the HR Committee – and not just through the lens of the article 14 of the ICCPR – can be witnessed only recently. For example, in Romania, while the Committee’s concern was framed under the traditional articles 2 and 14,, their statement goes further, looking into concrete issues such as the harassment of the head of the national anti-corruption unit. In the Dominican Republic, the Committee referred, for the first time, to the recommendations made in the context of the Conference of the States Parties to the United Nations Convention against Corruption. Cameroon is another interesting example. There is a specific comment related to corruption, very early on in the Concluding Observations, which shows the importance of the topic and links it to articles 2, 14, 25 and 26 of the ICCPR. This broad area of concern is new and is connected to issues that had never before been addressed by this Committee such as corruption in the health sector or in education. When it comes to the individual complaints procedure, the situation is even more problematic as there is no case where the HR Committee has found a direct link between a violation of a specific provision and corruption. However, the HR Committee, as well as CAT, both have numerous individual communications where corruption was alleged and was, in a few instances considered an aggravating factor of other violations. At this stage, the jurisprudence of UN Treaty Bodies on corruption remains very weak, , despite several submissions of individual cases on corruption. 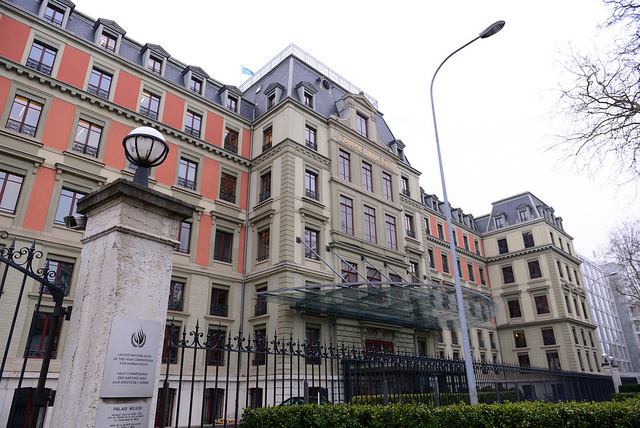 These examples show that despite recent positive developments, the issue of corruption is addressed only through a limited number of provisions by the UN Human Rights Treaty Bodies. This situation can be attributed to, amongst other factors, the absence of engagement with anti-corruption groups or institutions by UN Treaty Bodies. This is particularly true regarding the reporting procedures, where NGOs, NHRIs and UN Agencies play a critical role contributing to a constructive dialogue with State Parties. In addition, the recommendations made by the Committees are of a general nature, such as “increasing transparency within the conduct of public affairs”, “developing an anti-corruption legal framework” and “supporting anti-corruption units”. Such recommendations usually lack concrete wording and suggested steps to effectively combat corruption. These gaps were discussed at length during an international conference organised on 19th and 20th February 2018 by the Centre for Civil and Political Rights. On this occasion several anti-corruption activists shared their willingness to better use the various human rights avenues within the UN and at the same time expressed their concerns about the difficulties to properly access these mechanisms. Members of Committees attending the conference strongly emphasised the necessity to receive more information and reports on corruption regarding the States scheduled to be reviewed by their respective body. In order to address this lack of engagement, a second expert meeting was organised in June 2018, in partnership with the Geneva Academy and the OHCHR. The aim of the meeting was to draft guidelines for anti-corruption groups in order to better interact with the UN Treaty Bodies. Another aim was to address how corruption affects rights enshrined in the UN HR Treaties and, furthermore, understand how it impacts the various rights protected by the treaties and not only the few provisions that are commonly addressed by the Committees. Once the Committee’s findings on corruption are developed further, the drafting process of a joint General Comment on corruption will certainly be a necessity. This will ensure that the issue is addressed in a more consistent manner by all the Treaty Bodies. Patrick Mutzenberg is Director of the Centre for Civil and Political Rights. See the Universal Human Rights Index (http://uhri.ohchr.org/) for a comprehensive overview of the recent Concluding Observations of the UN Treaty Bodies. Featured photo: Palais Wilson. Ibrahim Birgeoglu licensed under CC BY-NC-ND 2.0.